Home » The ageing foot: how does skin feedback change as we grow old? The ageing foot: how does skin feedback change as we grow old? 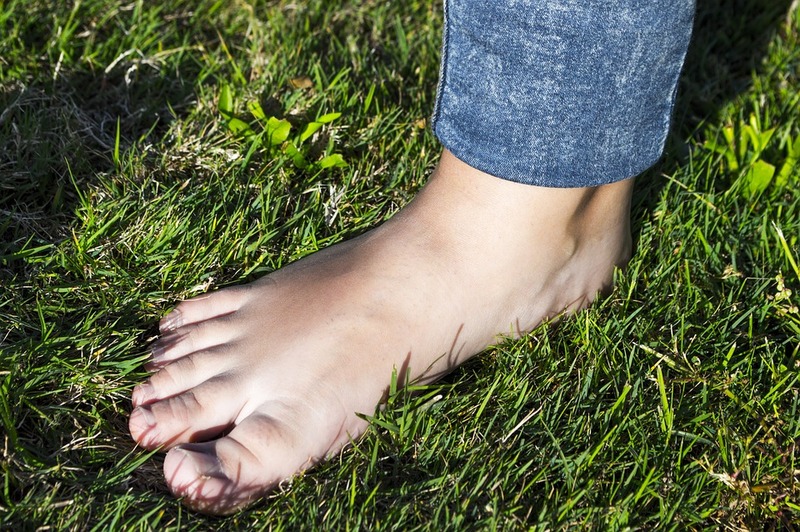 Historically, research on skin’s role in postural stability has focused on the sole of the foot, as this area is in contact with the ground as we stand and move. Special receptors from the sole of the foot provide information about contact pressure and slips of the foot (Kennedy & Inglis 2001), with a known decline in receptor feedback with age (Wells et al. 2003). Recent research has shown that the skin on top of the foot may be equally important in providing movement feedback. It tells us about foot contact with obstacles during walking. Moreover, removal of the feedback from this skin area affects our ability to position our ankle in space (Lowrey et al. 2010) and changes how we walk over obstacles (Howe et al. 2018). In our recent study (Mildren et al. 2017), we tested if skin sensitivity from the top of the lower leg and top of the foot is affected by ageing. We had 12 young and 13 older adults respond to light touch and vibration input on various locations on the front of the leg and top of the foot. Touch sensitivity – the level of input required for perception – was assessed with thin filaments on the front of the leg and foot. These tools are known to target a type of receptor, called a fast adapting receptor, that fires in response to contact and velocity (slip) input. Findings from the sensitivity tests were then related to overall functional tasks of standing reach and gait. We found that older adults had thresholds that were 5.5 times higher than young adults across the various sites tested on the leg and top of the foot. Thus, older adults needed more input to feel the touch. To further understand which type of skin receptors were most affected, vibration was tested at different frequencies (3Hz, 15Hz, 40Hz). The greatest deficits in sensory perception were found at 40 Hz in the older adults, where thresholds were found to increase in older adults across the four most affected sites – a 400% increase in threshold/decrease in sensitivity. Vibration at 40Hz, similar to the filaments, are known to target fast adapting receptors. Finally, the changes in skin sensitivity correlated with functional tasks. Both the timed up and go task and the functional reach task were affected most in the individuals who had the greatest decline in sensory input. We saw increased sensitivity thresholds for both monofilaments and 40Hz vibration in older adults, which points to deficits in fast adapting receptors, a class of receptors that is in abundance in the foot sole and dorsum. These receptors have strong connections with muscles of the lower limb that are used to generate reflex responses as well as generate muscle activity for everyday movement (Bent and Lowrey 2013; Zehr et al 2014). The decline in sensitivity is believed to reflect the reduced presence and ability of these receptors to contribute functionally to daily tasks. This is meaningful because, along with other sensory and strength declines that come with age, reduced skin sensitivity in this region may reduce the ability to properly position the foot above the ground – a potential risk for safe ambulation. Mildren RL, Yip MC, Lowrey CR, Harpur C, Brown SHM, Bent LR. Ageing reduces light touch and vibrotactile sensitivity on the anterior lower leg and foot dorsum. Exp. Gerontol. 99:1-6, 2017. Bent LR, Lowrey CR. Single low-threshold afferents innervating the skin of the human foot modulate ongoing muscle activity in the upper limbs. J Neurophysiol 109: 1614-25, 2013. Howe EE, Toth AJ, Bent LR. Online visual cues can compensate for deficits in cutaneous feedback from the dorsal ankle joint for the trailing limb but not the leading limb during obstacle crossing. Exp Brain Res doi: 10.1007/s00221-018-5342-z. Kennedy PM, Inglis JT. Distribution and behaviour of glabrous cutaneous receptors in the human foot sole. J Physiol. 538: 995-1002, 2002. Lowrey CR, Strzalkowski ND, Bent LR. Skin sensory information from the dorsum of the foot and ankle is necessary for kinesthesia at the ankle joint. Neurosci Lett 485: 6-10, 2010. Wells C, Ward LM, Chua R, Inglis JT. Regional variation and changes with ageing in vibrotactile sensitivity in the human footsole. J Gerontol A Biol Sci Med Sci 58: 680–686, 2003. Zehr EP, Nakajima T, Barss T, Klarner T, Miklosovic S, Mezzarane RA, Nurse M, Komiyama T. Cutaneous stimulation of discrete regions of the sole during locomotion produces “sensory steering” of the foot. BMC Sports Sci Med Rehabil doi: 10.1186/2052-1847-6-33, 2014. 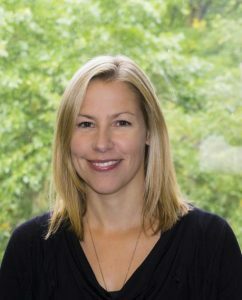 Dr. Leah Bent is an Associate Professor at the University of Guelph. Her research interests lie primarily in understanding the mechanics of skin activation. She uses techniques such as microneurography to record from single cutaneous (skin) nerve fibres in humans to understand how they respond to stretch, vibration and other types of activation. The goal is to understand how activation of different skin sensors contributes to the perception of skin touch and activation of reflex loops for balance control. To read Dr. Bent’s other blogs, click here.